The Blue Dogs got Waxman's takeover bill weakened. But that's not acceptable to the leftists. They are screaming! Waxman Postpones Health Markup Amid Liberal Backlash - Roll Call: ... The weakening of the public option incensed some liberal Members, with Congressional Progressive Caucus Co-Chairwoman Lynn Woolsey (D-Calif.) declaring she would vote against it. “It has to be much stronger to get our support,” Woolsey said after a meeting with Speaker Nancy Pelosi (D-Calif.), who tried to sell them on the deal. Woolsey said progressives fear that without using Medicare rates, the public option will not be able to hold down costs and force savings from private insurance companies. She said that was “great for the insurance companies” and would allow them to keep doing business as usual. Woolsey said members of her caucus would meet at 6 p.m. to discuss their response to the deal. “We’ve got a long way to go before this gets to the House floor,” Woolsey said. Speaking in the Tri-Cities, where two partially built nuclear plants sit abandoned nearby at Hanford, state House Speaker Frank Chopp has raised the possibility that nuclear energy will again have a glowing future. Chopp predicted that nuclear power will be part of the solution to America's dependence on foreign oil, according to a report by the Tri-City Herald. But first, he said, public attitudes must change. "We have to be patient," said Chopp. "Most politicians are a little leery of the issue because some people are very emotional about it." People are emotional about it because they have had the "worse than worst case" scenario drilled into their minds and emotions for 30 years. When people know the situation we can discuss nuclear on its true merits and side effects. Safety. Only two incidents in decades of operation of hundreds of plants have released radiation. At Three-Mile Island in Pennsylvania no one was killed and very little radiation was released. At Chernobyl firefighters were killed and radiation was released that has resulted in increased cancer deaths. But the Soviet Union had a track record of having no concern for the environment and for the health and safety of its people and built its reactors without containment shields that were used in the US. The interest of the state always came first. There are no other cases of radiation being released. Environment. Nuclear power emits no solid particles (air pollution) nor green-house gases. Disposal. The waste is solid and can be stored for a long time. The US has built an underground repository in Nevada for long-term storage. I think Chopp is right. Nuclear power does have a place. Say the same thing in Seattle, Mr. Speaker. Better yet, start the process of educating people on how nuclear power emits very few greenhouse gases, is economical to operate and its disposal problems have been conquered. The partisan debate over health-care reform has trickled down into one of the more arcane corners of the House -- the committee on free mail, otherwise known as the Franking Commission. One of the perks of being a member of Congress is being able to send "franked" -- or free -- mail, as long as it relates to official business. Lawmakers use that ability to send newsletters and legislative updates to constituents. To ensure that the privilege is not used inappropriately, a majority of the bipartisan, six-member Franking Commission must approve each piece. Mail is blocked only on rare occasions. 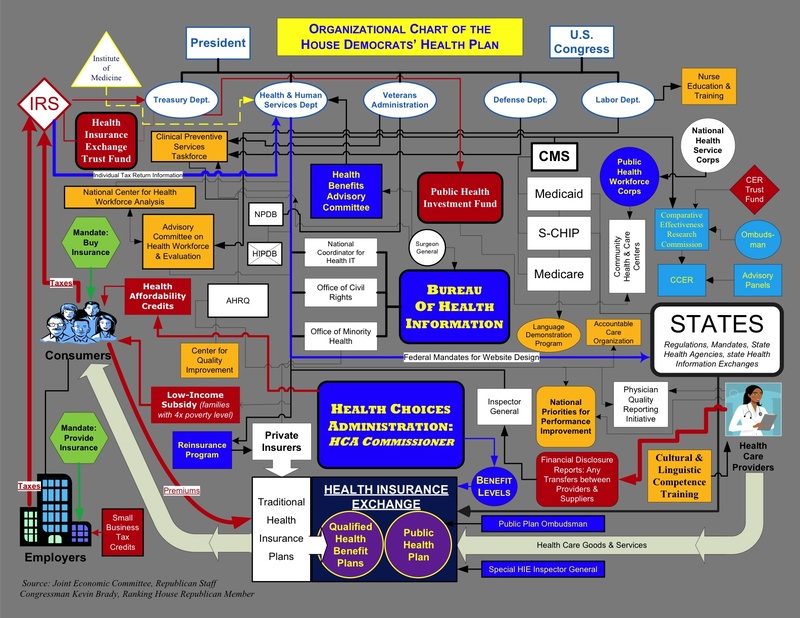 But now the commission has gotten involved in the health-care fight, prohibiting several Republicans from mailing out a colorful, labyrinthine chart that purports to diagram Democrats' reform plan. The controversy was first reported by Roll Call. 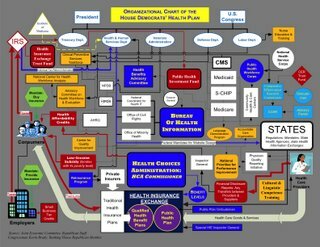 The chart was produced by Republicans on the Joint Economic Committee and has become a popular visual aid on the minority side of the aisle as it attempts to convince the public that the Democrats' plan will be a confusing disaster. But Democrats have argued that the chart is an inaccurate representation of their health-care efforts, and for that reason, the three Democrats on the Franking Commission say the GOP cannot use it in official mail. House guidelines say that in franked mail, "comments critical of policy or legislation should not be partisan, politicized or personalized." But what about information that is inaccurate, or -- arguably -- just misleading? "We have never before censored anybody's presentation of facts this way," Rep. Dan Lungren (R-Calif.) complained Friday in an interview. Lungren, the top Republican on both the Franking Commission and the House Administration Committee, said the commission has never traditionally played a fact-checking role. He said that Democrats this year have sent out numerous pieces of franked mail touting the number of jobs created by the economic stimulus package, and that while Republicans might disagree with those numbers, they have not moved to block the mail. The article mentions no inaccuracy in the chart. See the chart at the House Republican Leadership's web site. Obama's stimulus failed, why expect better on health care? The text is the quote of a commenter (farther down) on a post at Huffington Post, but you can listen to the recording of the call at the same location. Photos taken at the rallly 7/23/09 by Patrick Bell, returned from Austria. The Arab countries talk repeatedly how important the plight of the Palestinians is to them. Here is the proof of how unimportant they are. Jordan is revoking the citizenship of Palestinians because they want them to remain refugees. The want the festering sore. How can they complain about Israel if the Palestinians are integrated into society and no longer refugees? Middle East | Jerusalem Post : Jordanian authorities have started revoking the citizenship of thousands of Palestinians living in Jordan to avoid a situation in which they would be "resettled" permanently in the kingdom, Jordanian and Palestinian officials revealed on Monday. The new measure has increased tensions between Jordanians and Palestinians, who make up around 70 percent of the kingdom's population. Now they say it is because of security. OK, check the aides for security. But you don't have to outlaw them. Washington Policy Center 7th Annual Environmental Policy Luncheon & Conference Date: Thursday, July 23, 2009 Time: 7:30 AM - 1:30 PM Location: The Westin Seattle 1900 Fifth Ave, Seattle, 98101 $60.00 Lunch and Conference | $35.00 Lunch Only Featuring Climatologist Pat Michaels A Past President of the American Association of State Climatologists, Dr. Patrick Michaels will be discussing the global warming science they don't want you to know and his new book Climate of Extremes. Patrick Michaels is a research professor of environmental sciences at the University of Virginia, a contributing author and reviewer of the United Nations Intergovernmental Panel on Climate Change. His writing has been published in major scientific journals, including Climate Research, Nature, and Science. Prior to the keynote, Dr. Bruce Lippke, Professor of Forest Economics at the University of Washington, will be presented with the Environmental Innovator Award for his innovative work on forest sustainability. During the morning there will be panels on "Precautionary Principle" and "Free-Market Environmentalism." "...it is increasingly clear to this reporter that the only rational way out then will be to negotiate, not as victors, but as an honorable people who lived up to their pledge to defend democracy, and did the best they could." Not as victors...thus Cronkite convinced America the war was already over and lost, while our men, our soldiers, our sons and fathers, were fighting and dying and triumphing on the field of battle. Uncle Walter got his wish. America came home -- Saigon fell. The result? The Viet Cong consolidated its power over the whole of Vietnam. Like all good Communists, they proceeded to enslave the population, herding hundreds of thousands into concentration camps to be tortured, starved, and killed. The people of South Vietnam, who had trusted America and fought alongside us as allies, put to the sea en masse in whatever rickety craft they could find. Hundreds of thousands drowned in this desperate attempt to escape; by 1980, these "Vietnamese Boat People" were recognized as one of the greatest humanitarian disasters of the modern age, as over 800,000 people fled their country in terror. "Don't give the government control of our health care." 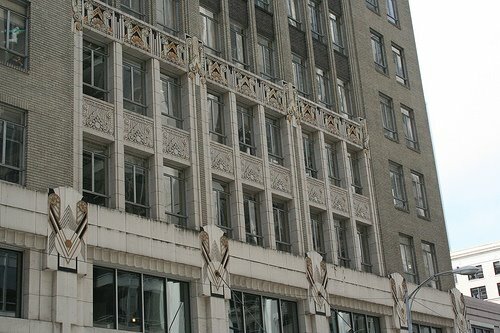 I joined a group at the entrance to the building housing Congressman Jim McDermott's office in downtown Seattle. Steve Beren, who has run against McDermott, was there and about 10 total. This was part of the Tea Party movement. People gathered at every congressional office in the state. We had a few signs and some of us had letters we took upstairs. We were treated politely by the staff. On the street I saw no negative reaction at all during the 20 minutes I was there, many smiles and thumbs up and a few people engaged in discussion. I have called and written to McDermott many times in the 25+ years he was supposed to be representing me in Congress. But this is the first time I have taken time off work to go to his office. Liberty Belle says that EVERY office in the state had Tea Party demonstrators, despite my wrong address for Cong. Reichert. And in Everett there were 200! Tell Congress in person. Join your neighbors and go to your Congressman's or Senator's office with a letter or a sign. 9:00 to 10:00 AM. 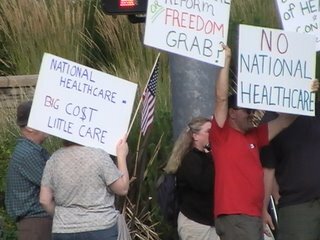 Government-run health care is the only issue in this Tea Party demonstration. The 1018-page bill in Congress phases out private health insurance. Private plans are almost illegal; they are allowed in the bill, but with exceptions that will force them to wither and die. See the Washington Tea Party Movement site for their Tea Party guidelines. Jammie Hunter thought she had her new commute all figured out. Sound Transit's light-rail line, which opens Saturday and rumbles past her Columbia City home, would make getting to work downtown a breeze. Her train station is about a mile away — "little more than walking distance" — so Hunter decided to drive, park on a nearby street and get on board, she said. But new restricted-parking zones set up around stations in Southeast Seattle put an end to that plan. Enforcement starts Monday, and anyone who violates the two- or four-hour limit is subject to a $44 fine. The only park-and-ride on the 14-mile light-rail line is in Tukwila. "Why would you invest so much taxpayer money into public transit and take away parking?" Hunter asked. "If they want to maximize ridership, that's not the way to do it." City officials say the new restrictions — which stretch about a quarter-mile around each of the stations from Beacon Hill to Rainier Beach — are needed to protect residents and businesses from a surge of motorists who park their cars on neighborhood streets during the day then disappear. In fact, there's even a name for the so-called offenders: "hide and riders." "Light rail was meant to be fed by people taking the bus, walking or biking," said Rick Sheridan, spokesman for the Seattle Department of Transportation (SDOT). "It was not meant to be fed by cars." They are playing recordings again on KVI-AM in the morning. I always prefer a good, local host over a national program. But Kirby Wilbur ran replays all last week. He was live on Monday and Tuesday, but is playing a replay today and probably the rest of the week. They have a hack in the afternoon for just one hour. This station is close to dead. They chased away Michael Medved so they could carry Sean a few years ago. So KTTH built a new station on Medved, the "Franchise." And Rush followed. And they give the entire night to the Art Bell nuts. So KTTH at 770 AM is Seattle's home to conservative talk. Duane, Hugh Hewitt's producer, characterized this as "Sotomayor didn't just back away from her previous comments, she ran!" And she clearly moved away from President 0. Arizona Republic: Kyl forgoes pleasantries, presses Sotomayor: Supreme Court nominee Sonia Sotomayor, responding to a pointed question from Arizona Sen. Jon Kyl, rejected President Barack Obama's assertion that judges must rule based partly on what's in their hearts. "I wouldn't approach the issue of judging in the way the president does," Sotomayor told Kyl during a grueling daylong confirmation hearing before the Senate Judiciary Committee. "Judges can't rely on what's in their heart," Sotomayor said. "The job of a judge is to apply the law. And so it's not the heart that compels conclusions in cases. It's the law." It was the first time that Sotomayor publicly distanced herself from the president. And it was the one time when her answer seemed to satisfy Kyl, who went after Sotomayor as if he were a trial attorney questioning a witness. Kyl, a conservative and the Senate's No. 2 Republican leader, was one of the most aggressive interrogators of the day. The senator, who practiced law in Phoenix before his election to Congress, skipped the usual pleasantries to start in with his questions. ... The senator pressed Sotomayor politely but relentlessly to explain a controversial speech in which she said she hoped "a wise Latina" judge would generally reach better conclusions than a white male. By the time he was done, Sotomayor said her words were "a bad idea" and that her intent with the speech was to inspire young Latino students and emphasize the importance of diversity in the judiciary. When there is a reason to steal, guess what? Amtrak accused of hindering stimulus oversight - USATODAY.com: WASHINGTON — Amtrak managers have improperly interfered with oversight of the railroad's $1.3 billion in economic stimulus funding, according to an independent report by a former federal prosecutor. The report commissioned by Amtrak's former inspector general says the railroad's lawyers and financial managers interfered with the internal watchdog's ability to get stimulus-related documents and the $5 million Congress appropriated for stimulus oversight. Amtrak spokesman Steve Kulm said in an e-mailed statement that the railroad "strongly disagrees" with the accusations of interference with the inspector general. Members of Congress from both parties have demanded answers from Amtrak about how the government-subsidized railroad is providing information to the watchdog office and why Inspector General Fred Weiderhold retired unexpectedly last month. The day he retired, Weiderhold gave Amtrak managers a report from former federal prosecutor Robert Meyer that says Amtrak officials have repeatedly and improperly interfered with the inspector general's work since 2007. The pundits are wrong. Conventional wisdom is wrong. Sarah Palin's decision to step down as Alaska governor was a brilliant move. Palin has some of the best political instincts I have ever seen. She became a pop-culture superstar overnight when John McCain made her his veep pick, and she's still second only to President Obama among politicians the public is interested in. Even in liberal San Francisco, she'd be front-page news if she ever came to town. But that kind of celebrity comes at a high price. What a lot of people don't know is that Palin entered Alaska politics as a reformer attacking the corruption of the state's Republican establishment. As such, she was the darling of the Democrats - until she hooked up with McCain. After the election, with Palin back home but positioning herself for a 2012 presidential run, it was clear she would catch nothing but ridicule from Alaska's Democrats. It was not going to be pretty. If Palin wants to play on the national field, she has to be free to move around. She has to be able to drop into Indiana, Ohio or Tennessee and help Republican candidates raise money. She has to be available for radio and TV. Lifson continues: In my decades watching politics in California, I came to have a grudging respect for Willlie Brown. The man absolutely takes over a room when he enters it. The magnitude of his charisma is stunning, and he knows how to use it. He is also crafty and ruthless, and was properly feared when he held political power, by friend and enemy alike. I have seen implacable foes fold their cards after a private meeting with the man. If I were a Democrat, I would pay close attention to the lesson he is trying to teach. At this point in his life, Willie Brown can tell the truth as he sees it, and the man knows as much about the fundamentals of politics as anyone alive. Honduras, the tiny Central American nation, had a change of leaders on June 28. The country's military arrested President Manuel Zelaya -- in his pajamas, he says -- and put him on a plane bound for Costa Rica. A new president, Roberto Micheletti, was appointed. Led by Cuba and Venezuela (Sudan and North Korea were not immediately available), the international community swiftly condemned this "coup." Something clearly has gone awry with the rule of law in Honduras -- but it is not necessarily what you think. Begin with Zelaya's arrest. The Supreme Court of Honduras, as it turns out, had ordered the military to arrest Zelaya two days earlier. A second order (issued on the same day) authorized the military to enter Zelaya's home to execute the arrest. These orders were issued at the urgent request of the country's attorney general. All the relevant legal documents can be accessed (in Spanish) on the Supreme Court's website. They make for interesting reading. What you'll learn is that the Honduran Constitution may be amended in any way except three. No amendment can ever change (1) the country's borders, (2) the rules that limit a president to a single four-year term and (3) the requirement that presidential administrations must "succeed one another" in a "republican form of government." In addition, Article 239 specifically states that any president who so much as proposes the permissibility of reelection "shall cease forthwith" in his duties, and Article 4 provides that any "infraction" of the succession rules constitutes treason. The rules are so tight because these are terribly serious issues for Honduras, which lived under decades of military rule. So Zelaya was illegally amending the constitution so he could stay in power, like Hugo Chavez of Venezuela and Evo Morales of Ecuador. We call a permanent president a dictator. What did Justice Ruth Bader Ginsburg mean when she linked abortion and eugenics? What? You can find the full context of the remark here, in the Times interview, but it doesn’t settle matters. And the (pro-choice) media haven’t exactly jumped on the story. 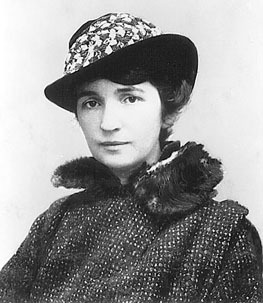 The photo: That's Margaret Sanger, the leader of eugenics who launched the strategy to hide it behind the facade of "poplulation control," where it still resides in Planned Parenthood. Many advocates of a public health plan--either a "single-payer" plan or a "public option"--claim that a public health plan will save money compared to private health insurance because "everyone knows" that the largest government health program, Medicare, has lower administrative costs than private insurance. Some even claim that switching every private insured American to Medicare or something like it could save the nation enough money to cover all currently uninsured Americans. Advocates of a public plan assert that Medicare has administrative costs of 3 percent (or 6 to 8 percent if support from other government agencies is included), compared to 14 to 22 percent for private employer-sponsored health insurance (depending on which study is cited), or even more for individually purchased insurance. They attribute the difference to superior efficiency of government, private insurance companies' expenditures on marketing, efforts to deny claims, unrestrained pursuit of profit, and high executive salaries. However, on a per-person basis Medicare's administrative costs are actually higher than those of private insurance--this despite the fact that private insurance companies do incur several categories of costs that do not apply to Medicare. If recent cost history is any guide, switching the more than 200 million Americans with private insurance to a public plan will not save money but will actually increase health care administrative costs by several billion dollars. Public figures for Medicare’s administrative costs count only what it takes to print reimbursement checks. Normal operating costs — rent, management, health insurance, taxes, capital to start a business and new equipment — which private insurers must include in their administrative costs, are counted elsewhere in the federal budget. Official Medicare administrative costs simply exclude what most companies must include. No administrative cost savings exist in the public plan, and the true costs will never be counted because they’ll be hidden in the federal budget. It's time to contact our Congressmen and Senators. They are all automatic votes for any proposal that gives the government more control. But let them know the facts don't support them. One of my favorite places is St. Mary, Montana, the east entrance to Glacier National Park - the east approach to Going to the Sun Highway. It has a webcam that I like to keep open, like a screen background that changes. Monday there was an interesting change in the weather. During the late morning filtered sunshine and noon bright Sun convertibles and motorcycles were going into the park. 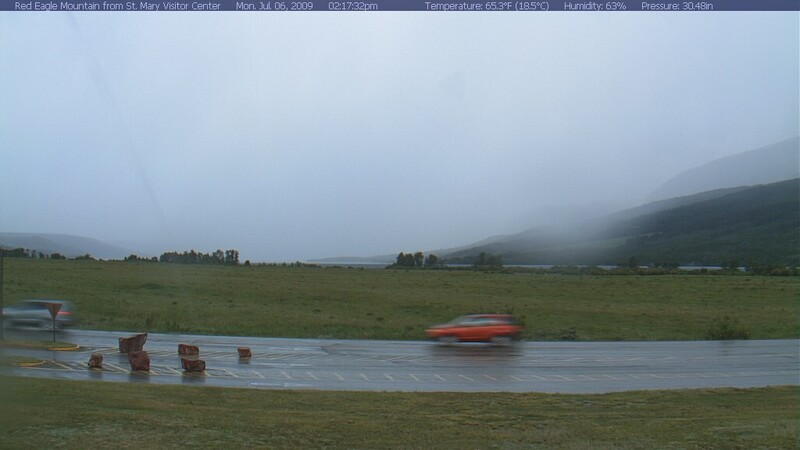 Then when it turned to rain the cars were leaving so fast they were a blur to the camera. 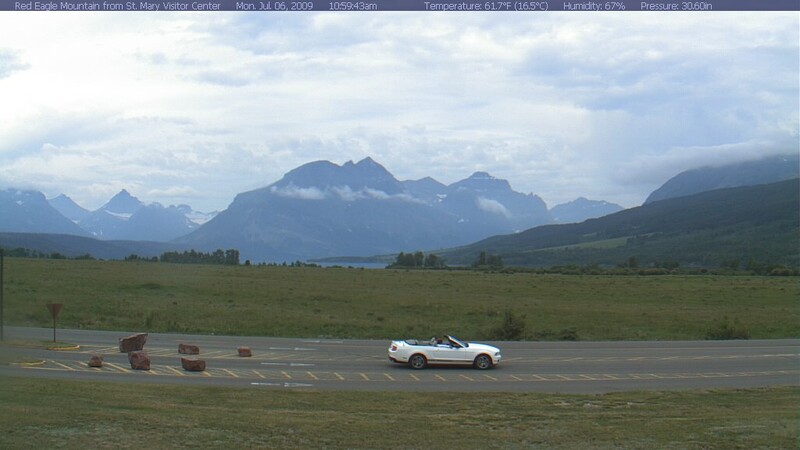 All the Glacier NP webcams. Click on any photo to enlarge it. 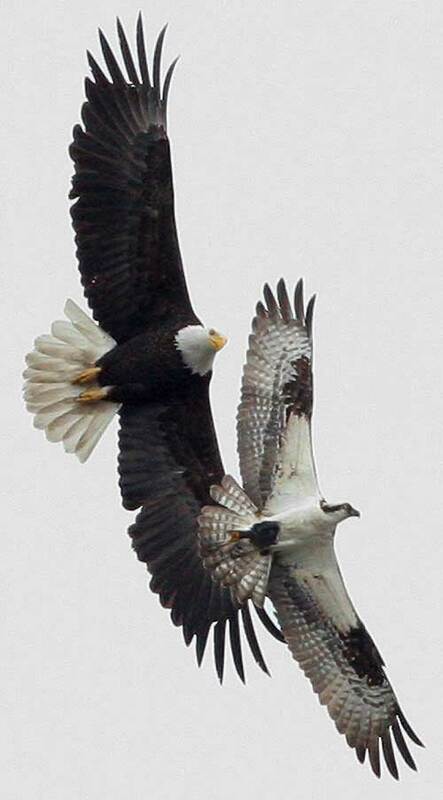 I saw the battle of eagle versus osprey Friday. 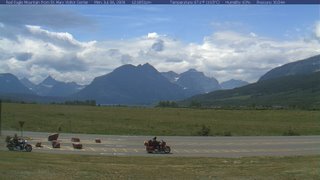 I had heard about them doing this, but I finally saw it at our cabin on the Key Peninsula facing Case Inlet. 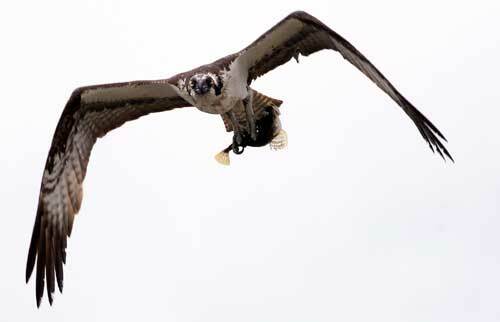 Ospreys fish by diving from high up to into the water. I's spectacular. The osprey dove from at least 50 feet up, might have been 100, into the water. When its wings came out of the water it started flying, carrying something. Immediately a bald eagle was after him. Chase, turn, chase turn, chase turn! The eagle gave up after 3 or 4 turns and the osprey kept his prey. I doubt the eagle was sitting in the trees 5 houses down. I am sure he was following the osprey, flying over the trees behind our places, ready to pounce. The photos are from Everett where ospreys nest on pilings set in the water, where they are visible to and approachable by boaters. From Everett Herald newspaper. Follow the link for video. At Least 140 Dead in Clashes in China&#39;s Xinjiang Province - Yahoo! News: Chinese authorities announced today that some 140 people had been killed and over 800 wounded in protests that roiled Urumqi, the capital of China's far western Xinjiang province, on Sunday. According to the official news agency Xinhua, Urumqi police chief Liu Yaohua told a press conference that the number of dead was still rising and that there had also been extensive damage to property. The enormous loss of life marked a bloody milestone in Beijing's administration of the troubled zone, in which Muslim Uighurs make up the majority of the population. It also presages a severe tightening of the already vise-like grip the authorities maintain on the semiautonomous region, one that could be even harsher than the crackdown that followed the violent suppression of protests in the Tibetan capital Lhasa in March of 2008. Officials said that several hundred protesters had already been arrested and some 90 more were still being sought on Monday afternoon. "I fear for what is to come," said Nicholas Bequelin, a China researcher for New York-based Human Rights Watch. "China has a very poor record of accountability when it comes to those arrested for protesting. In Tibet, for example, there are still hundreds unaccounted for by the government's own admission." Senator Tom Coburn of Oklahoma released a report looking at the Porkulus bill's projects - 100 Stimulus Projects: A Second Opinion. It's worse than random. Many of its provisions can be expected to cause damage. United States Senator Tom Coburn [quote] “Rather than growing our economy, the overall impact of stimulus spending may prove to be harmful to our economy. For example, Washington’s efforts to ‘stimulate’ the economy are increasing utility costs, repairing bridges nobody uses, building tunnels for turtles, and renovating extravagant train stations in remote areas while widely-used bridges and roads in poor shape are passed over,” Dr. Coburn said. “I opposed the stimulus bill because I was concerned that 80 to 90 percent of the spending would not be true stimulus. I hope I am proven wrong. Yet, our initial findings continue to show that taxpayers are not getting the value they deserve and need,” Dr. Coburn said. Dr. Coburn added that Earl Devaney, head of the Recovery Act Accountability and Transparency (RAT) Board, estimates that at least $55 billion of stimulus funds may be lost to waste, fraud and abuse. However, the final number will likely be much higher. If stimulus funds do not promote economic growth history may indicate that the vast majority of stimulate dollars would have been better off staying in taxpayers’ pockets. Ten examples of wasteful stimulus projects in the report include: 1. $1.5 million in “free” stimulus money for a new wastewater treatment plant results in higher utility costs for residents of Perkins, Oklahoma. 2. $1 billion for FutureGen in Mattoon, Illinois is the “biggest earmark of all time” for a power plant that may never work. 3. $15 million for “shovel-ready” repairs to little-used bridges in rural Wisconsin are given priority over widely used bridges that are structurally deficient. 4. $800,000 for little-used John Murtha Airport in Johnstown, Pennsylvania airport to repave a back-up runway; the ‘Airport for Nobody’ has already received tens of millions in taxpayer dollars. 5. $3.4 million for a wildlife “eco-passage” in Florida to take animals safely under a busy roadway. 6. Nevada non-profit gets $2 million weatherization contract after recently being fired for same type of work. 7. 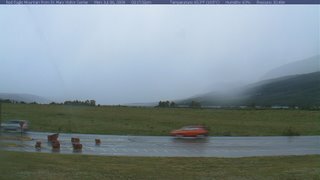 $1.15 million for installation of a new guard rail for the non-existent Optima Lake in Oklahoma. 8. Nearly $10 million to renovate an abandoned train station that hasn’t been used in 30 years. 9. 10,000 dead people get stimulus checks, but the Social Security Administration blames a tough deadline. 10. Town of Union, New York, encouraged to spend a $578,000 grant it did not request for a homelessness problem it claims it does not have. [end quote] Read the full report. No, I mean that most of the developed world has already gone down the paved road of good intentions and is now frantically trying to pedal up out of it. New Zealand was one of the few Western nations to sign on to Kyoto and then attempt to abide by it – until New Zealanders realized they could only do so by destroying their economy. They introduced a Dem-style cap-and-trade regime – and last year they suspended it. In Australia, the Labor Government postponed implementation of its emissions-reduction program until 2011, and the Aussie Senate may scuttle it entirely. The Obama administration has gotten to the climate-change hop just as the glitter ball's stopped whirling, and the band's packing up its instruments. Back at The New York Times, Thomas Friedman agreed the bill "stinks" and says "it's a mess" and he "detests" it, but nevertheless says we need to pass it because his "gut" tells him to. Maybe his gut's really telling him The New York Times canteen's daily specials have been adversely affected by the company's collapsing share price. Who knows? 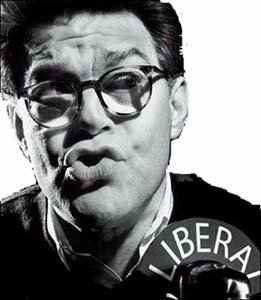 At any rate, for reasons not entirely obvious from his prose style, the eminent columnist believes himself to have a special influence on the youth of today and so directed the grand finale of his gut's analysis to them especially: "Attention, all young Americans," he proclaimed. "You want to make a difference? Then get out of Facebook and into somebody's face." In 2007, government spending in Europe averaged 46.2 percent of GDP; in America it was 37.4 percent, of which 20 percent was federal. A mere two years later, federal spending is up to 28.5 percent, so, even if state and local spending stand still, we're at 46 percent: the European average. But, as Randall Hoven points out, the real story is that we're at 46 percent and climbing, while the Continentals are at 46 percent and heading down. In 1993, government spending averaged 52.2 percent in Europe, and 70.9 percent in Sweden. The Swedes have reduced government spending (as a fraction of GDP) by almost a third in the past 15 years. Their corporate tax rates are lower than ours. And that's before Obama's raised them. Last week, the doughnut chain Tim Hortons, which operates on both sides of the border but is incorporated in the state of Delaware, announced that it was reorganizing itself as a Canadian corporation to take advantage of Canadian tax rates. Another medium-tech prison escape attempt. Seattle Times Newspaper: SÃO PAULO — Prison guards foiled a new attempt to smuggle a cellphone into a Brazilian prison by carrier pigeon — this one wearing a tiny backpack — and said Friday that the practice is becoming familiar. An exhausted pigeon wearing a small makeshift backpack was intercepted just outside walls at the Danilo Pinheiro prison near Sorocaba, said a spokesman for the São Paulo State Prison Affairs Department. The representative spoke on condition of anonymity. Inside the backpack was a cellphone and a piece of paper with the name of the inmate who was waiting for the phone, the spokesman said. He declined to reveal the name of the inmate. Tea parties are intended to get people who care about limiting the scope and control of government connected to each other. 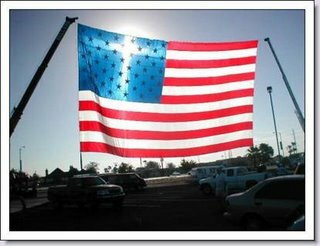 And to make a public showing of our beliefs. Waste? Heritage gives its first WASTE award to FCC.gov. With unlimited funds the leader/controller of communications should be able to do a web site with half competency. But they didn't. Today, July 4, there are events from Walla Walla to Anacortes. Sequim, Wenatchee, Puyallup, TriCities, Bellingham and Clarkston (if you haven't been to Clarkston, go! It's beautiful.) Cowlitz County started over an hour ago. Olympia two of them - at the Capitol and a party Seattle area - Seattle, Redmond, Bellevue-Mercer Island Spokane Everett - See Pudge in action - singing at 12:30 before the event. 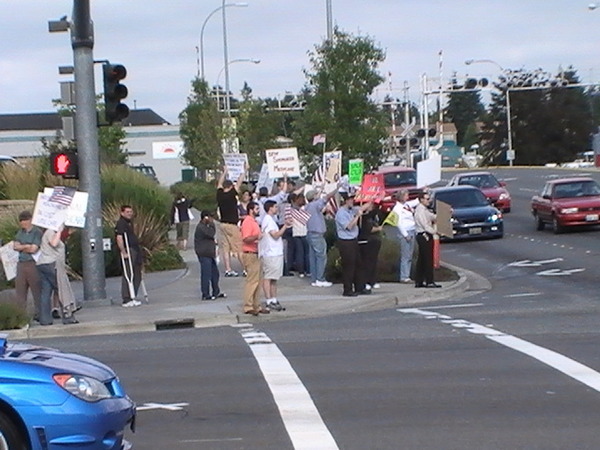 See Washington State Tea Party Movement for details. Fri. July 17 - Rally in front of the district offices of our senators and congressmen. I still don't have a link for this. And see Liberty Belle at Redistributing Knowledge for the Seattle Sons and Daughters of Liberty action network. When Mahmoud Ahmadinejad makes hash out reality, he isn't only perfecting one of the wiles of a dictator. He's practicing his religion. WikiIslam defines taqiyya as "sanctified hypocrisy." That's generous. At least a half dozen verses of the Quran instruct Muslims to practice deception, or to lie, when it serves the purposes of Islam. Taqiyya means "guard," as in guarding oneself against unbelievers, which can include lying to them or deceiving them. "We smile in the face of some people although our hearts curse them," according to authority Abu Al-Darda. In one passage (Sura 16: 106) Allah allows Muslims to go so far as to deny their faith when under "compulsion," as long their heart remains "firm in Faith." The practice is so deeply embedded in Arab culture and the Muslim world that one has to wonder how Western leaders can negotiate with leaders like Ahmadinejad, steeped in taqiyya. "You go quickly to the bottom line, or the heart of the matter, or you ask for my gut reaction," a Pakistani friend once told me, "while we prefer to beat around the bush, to talk in circles, to redirect." Daniel Shayesteh recently told me, "A Muslim cannot be a real Muslim if he does not use taqiyya." Shayesteh knows: Born in Iran, by age 9 he could recite the entire Quran in Arabic (Iranians speak Farsi, and just a fraction outside the clerics know Arabic). That's a sample. Read more. There are many others, but this is tops for me. Six months after Bernie Madoff confessed to his ponzi scheme that took, he claimed, $50 billion from thousands of people, including his own sister, he was banned from the securities business by the SEC. Six months later? SEC Bars Madoff...Just in Time! All hail the Securities and Exchange Commission, the newest inductee in the Fat-Lot-of-Good-That-Does-Us Hall of Fame. A mere nine years after SEC staffers started getting hit over the head with red flags about Bernard Madoff's fishy finances, the commission finally got around to taking decisive action: In mid-June, the commission barred the Ponzi-schemer from the securities business. Of course, this investor protection came only after Madoff stole more than $13 billion, pleaded guilty to multiple felonies and went to jail. With regulators like that, who needs regulators? 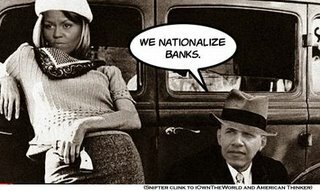 The image: Bonnie and Clyde have more direct methods now. Minnesota gets what they want. They want a buffoon and elected him. They want a man who cannot control himself? In a disagreement with Laura Ingraham's producer at a national party convention in 2004 Al Franken slugged the producer. It wasn't a fight, just a slug by an uncontrolled person. He can't control himself. The talk radio hosts, despite differences of opinion, elected him Talker of the Year a year or two ago for his show on that bankrupt liberal radio network. He got up at the banquet and spewed poison at them to show his thanks. He may have been in control, but full of hatred. Minnesota, you want him. Hatred. Out of control. OK, you have him. Watch out, US Senate, now he is coming at you. Treat him with the respect he deserves and practice how to protect your body against physical attack.